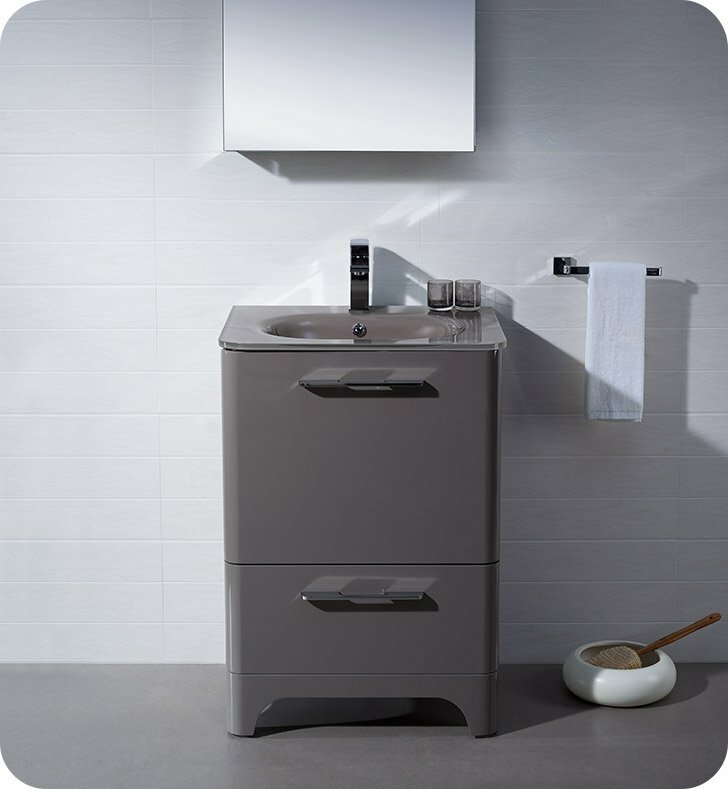 Give your bathroom a glamorous makeover by adding this Fresca Brillante Decor Planet Exclusive Modern Bathroom Vanity. 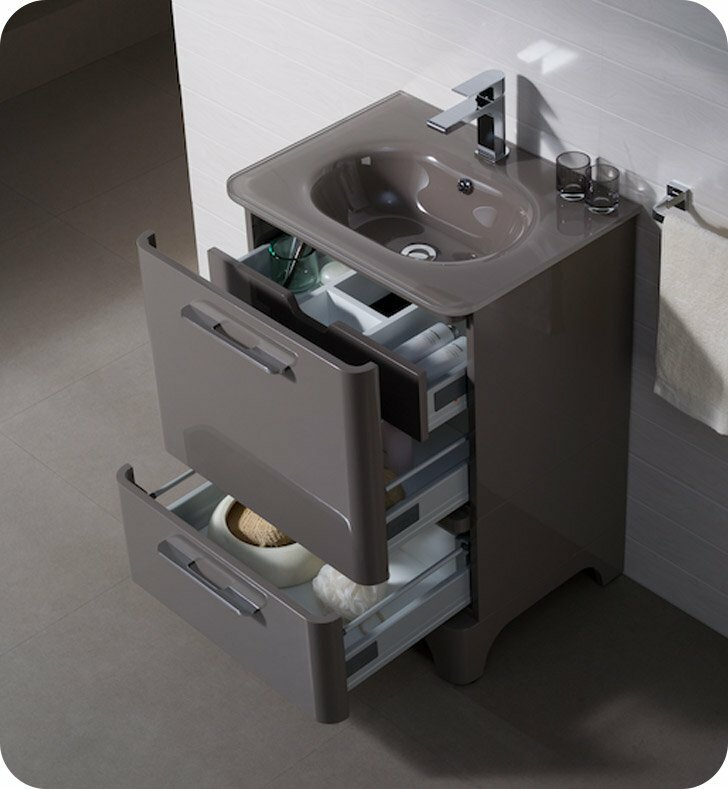 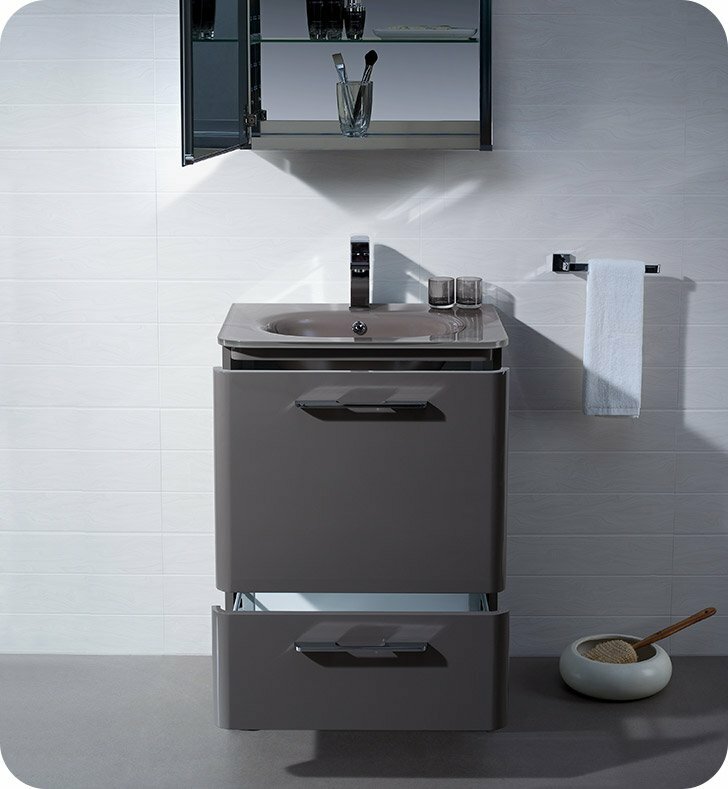 Its glossy stone grey finish creates a chic, eye-catching look, while an optical glass countertop provides ample storage space for bathroom essentials. 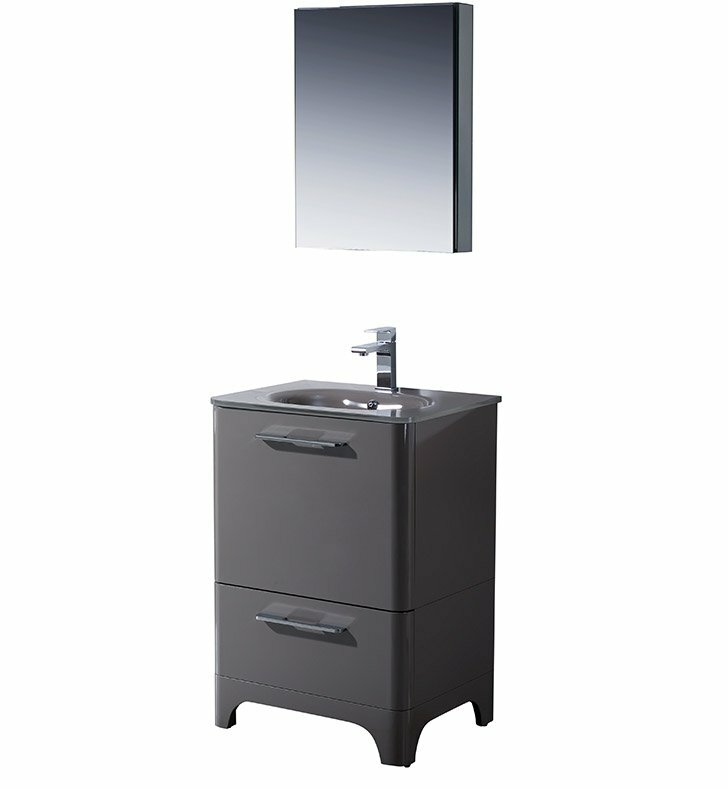 Installation of this free-standing bathroom vanity is simple, and all the hardware is included. 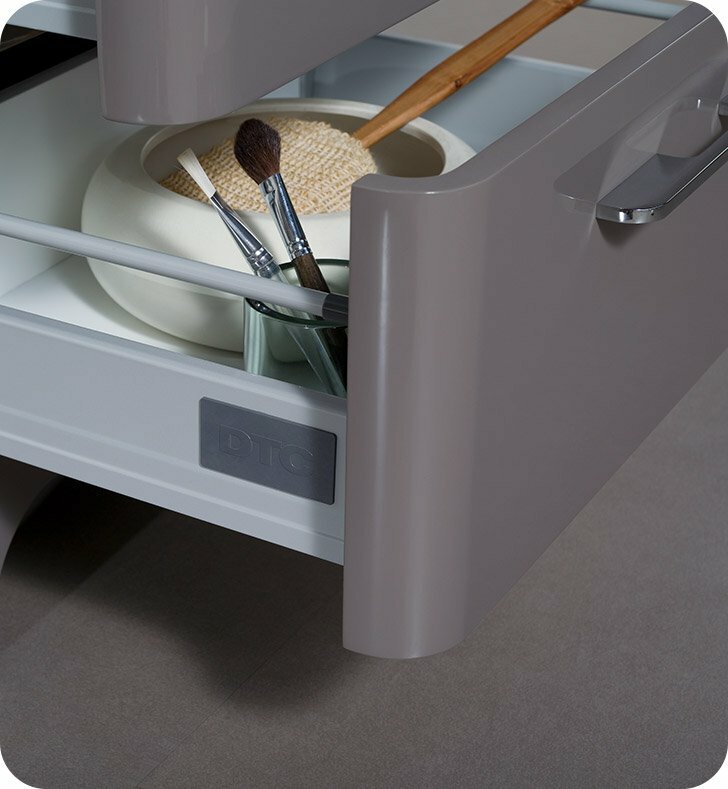 Three cleverly nested drawers with slow closing mechanism prevent slamming and offer plenty of room for storing linens and personal items. 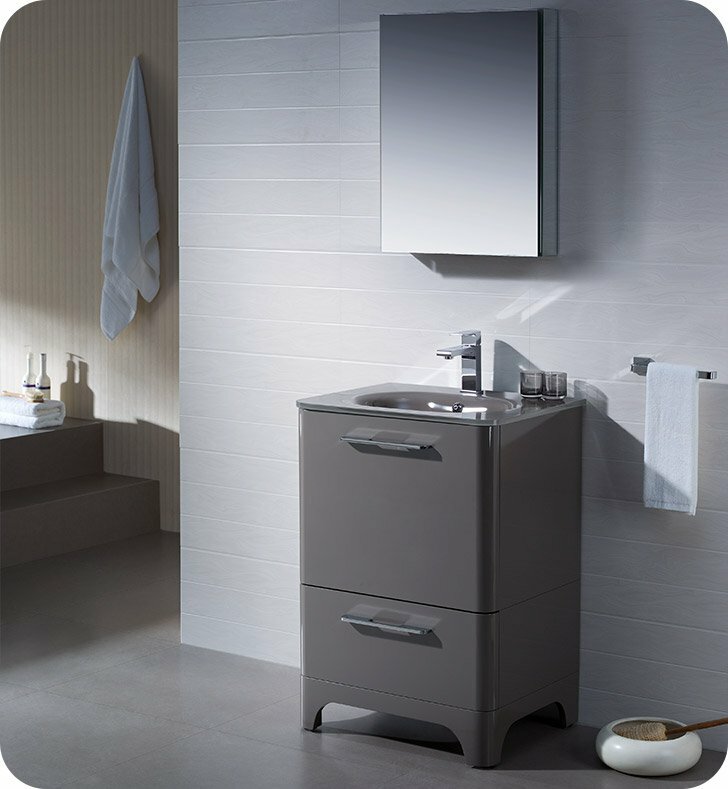 Complete the look of this modern bathroom vanity by adding a matching mirror with a built in LED lighting and a bathroom cabinet covered in the same high gloss finish. 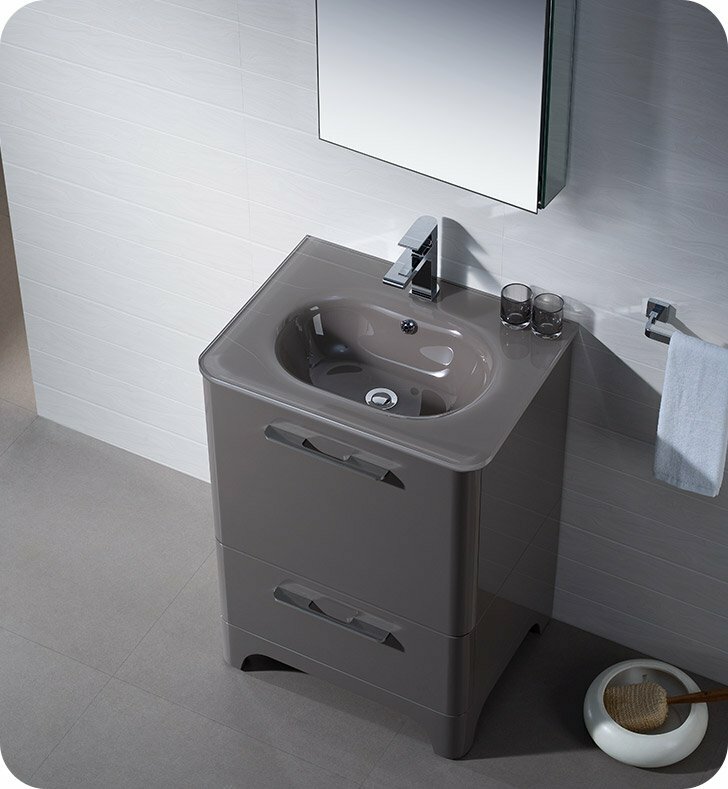 Dimensions: W 23" x D 18 1/4" x H 33 1/2"